CEO/CSO at ARTEMIA Communications, Inc. Successful PR generates earned media coverage by effectively communicating your value proposition. Are you equipped with potent tools to effectively engage your audience? Do you have a pitch that will engage the reporter in a conversion? What metrics do you use to measure success? On October 17, join Barbara Wichmann from ARTEMIA Communications, Inc. — a strategic communications and digital marketing firm — for a one-hour workshop discussing the necessary tools and planning involved behind successful PR campaigns. The workshop will be followed by Office Hours for members who would like one-on-one work sessions with Barbara. 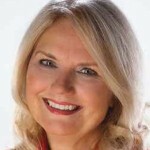 Barbara Wichmann is the CEO and founder of ARTEMIA Communications, Inc, a global, full-service strategic communications and digital marketing agency headquartered in San Francisco and locations in the US and Canada . The agency client roster includes Fortune 100/500s in technology, financial services, medical devices and utilities industry segments as well as high-growth start-ups and international government agencies. Barbara is an industry-leading communications expert, and an alumnus of the CVS Health Executive Training (2015), Tuck (Dartmouth) and UCLA Anderson School of Management’s Executive MBE Programs. In 2014, she was named a 2014 WBENC “Star” and she currently serves as the Astra Chair for the Northern California region. She is also an active member of the Quest Forum taskforce for small business and a contributing columnist on sustainability for MBE Magazine. As a sustainability advocate, Barbara led ARTEMIA to become a certified San Francisco Green Business and secured triple ISO certification – an unprecedented step for a communications agency.